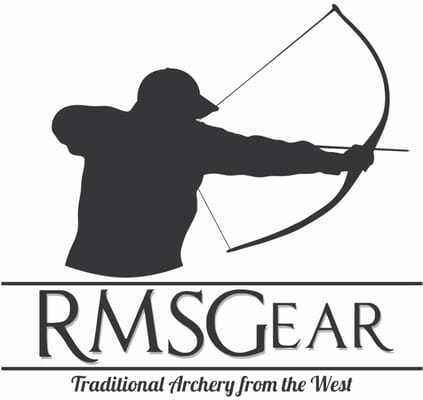 Rocky Mountain Specialty Gear, or RMSG as it is known, is one of the premier archery shops in the United States. RMSG carries a wealth of both compound and traditional archery equipment, as well as a selection of knives that would make most dedicated knife stores blush. The only thing more impressive than the inventory at RMSG is the level of customer service and knowledge within its ranks. The Clum family and their employees are simply unsurpassed in their expertise of stalking and killing big game with nothing but a bow and an arrow. I personally cannot recommend them enough and is the only shop I visit to buy my equipment. Rocky Mountain Krav Maga offers a no-nonsense approach to fitness and self-defense. Simply put, in the real world, there are no rules. RMKM offers both Krav Maga and Crossfit. After originally opening as just a Krav gym, Crossfit was added as the sport of fitness perfectly compliments the functional discipline of Krav. Rocky Mountain Krav Maga is a family friendly company with two locations in the south Denver metro. Justin Schoenborn is a wedding, event, and lifestyle photographer based in Colorado. Holding a degree in photojournalism, Justin aims to capture moments with natural light and “as they are,” keeping Photoshop and any doctoring to a minimum. While he specializes in weddings and engagments, he has also photographed live music, food and drink, and documentary portraiture. Justin is available for jobs upon request. 1 Shot Gear is one the premier hunting and outfitting stores in the state of Colorado. Specializing in high-end equipment meant to take you to the backcountry and beyond, 1 Shot Gear is an excellent shop to visit when preparing for your next Rocky Mountain big game stalk. The staff is of the highest caliber and can help you find new gear from the likes of Sitka, Hilleberg, Stone Glacier, Swarovski, and more. Bighorn Firearms is a small shop located in Southeast Denver with big customer service. The guys at Bighorn understand that stepping into a gun store can be an intimidating experince, especially for first-time buyers. You won’t find any intimidation or pressure at Bighorn. What you will find is out-of-this-world service from Ryan and Gordan, in a friendly and welcoming atmostphere, along with an excellent selection of firearms to choose from. Bighorn also offers gunsmithing and maintanence, consignment, and plenty of educational opportunities to ensure you feel comfortable about your new gun! 1-866-912-4800. All rights reserved. This is not an offer to enter into an agreement. Not all customers will qualify. Information, rates and programs are subject to change without notice. All products are subject to credit and property approval. Other restrictions and limitations may apply. Equal Housing Lender.